I’ve updated the website with the new game, let’s get racing! Good luck everyone, please submit your scores via screenshot or video by replying directly to this post! Competitions last one week, close on Sunday night @ midnight. Post screenshots in this thread as proof. The winner from the previous week chooses the next game to play. You cannot choose twice in a row. 2nd place will choose if someone wins two weeks in a row. If there’s a tie, the person that submitted the high score first gets to choose. Games must be high score compatible (think “arcade style scores” like Pac-Man, or Spy Hunter, not Super Mario). Emulation is okay (MAME is often the best for high scores). No save state manipulation (pausing to take a break is fine though). Submit scores as soon as you get them! To keep the competition rolling and fair, do not hold on until the last moment to submit. Points will be awarded for the entrants, based on the position finished for the week. This is to encourage wider participation, and the points will be posted each week as well as on the website. Overall, we should keep it simple. This is just a good time, not a crazy official high score competition! Game plays should ideally be short and fun so people that can’t invest hours into this can still compete. Obviously we are working on a trust based system here, so don’t ruin it for the others! Here’s a simple website I made to keep track of the competition. It’s back! I’m so in! OK, let’s do this! 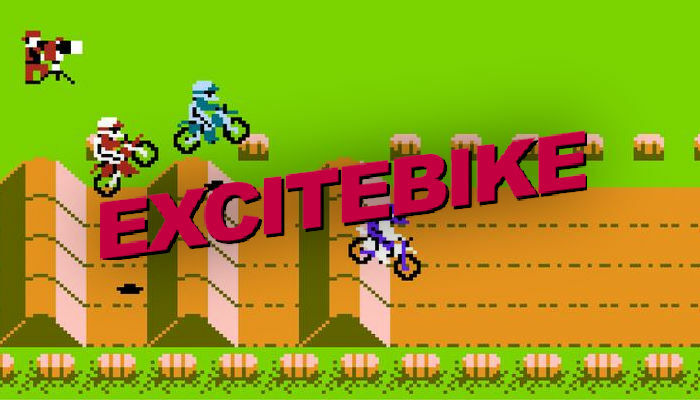 Excite Bike is also on the 3DS virtual console and the NES Classic Edition. I’ll play on the 3DS myself. Yup, there’s an NES classics version on the GBA, and the Wii VC too. It’s available if you have Switch Online. Pumped that this is back. Sega Rally and Pac-Man Championship was by far my favorite. I’ll start this off with an easy one. Wow, it’s been a while since I’ve played Excitebike. I only had time for a couple tries but there’s a lot more strategy in it than I remember when I was 8 years old lol. First submission, hopefully I have time for more tries. I’ll definitely give this a shot. I love Excitebike. The other racers are so erratic in this… I was getting super frustrated trying to break 1 minute but finally got it, with lots of luck! Is this on for another week or is this the last day? This one is 2.5 weeks, then we’ll move to a 2 week format. It ends on Apr 8th. Wow great time! The best I’ve done so far is 1:17. I need to spend more time. Thanks guys! On my first few shots I was getting around 1:40 and it seemed impossible! … but you save so much time from not getting knocked off. I think i fell off just the once, and luckily near the top of screen, in the 55:45 run. It’s by no means perfect though! So far I’ve gotten a 1:09:71. I haven’t had a clean run yet. Seems crazy to get below a minute even with a clean one! I am playing the version on Switch online. My times were on the 3DS 3D Classics/Arika version if it wasn’t apparent from the pics. I assume it’s the same as the others but then a lot of the other screenshots in here have the default best time for that track as 1:16:00 … I think mine had a default of 1:09:00 … I don’t have any other version to compare with first hand though. Yeah I looked into this a bit and it’s definitely different. The 3DS version has a single person submitting runs, and he’s faster than some of the track times attained by the entire community of runners on the NES, including the current record holder in all categories AndrewG. Good on you for noticing, and thanks for being honest! Edit: That means 4qu05 is our current leader! Oh yeah! It does look like a friend’s setup I’ve played on before!